I’m not a Ford fan (I drive a Chevy, remember? ), but I happen to have two of their European cars here that you can’t buy in the States. 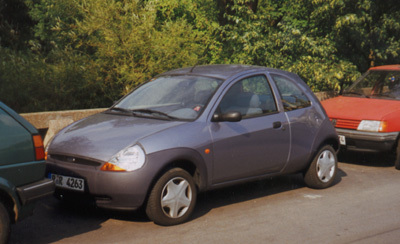 The Ford Ka you see above is small with a little ‘s’. I’m not very tall, and I can almost reach the back window from the driver’s seat. It’s actually very peppy, as long as you don’t bring any friends with you. Or groceries. And if you just went to the bathroom. 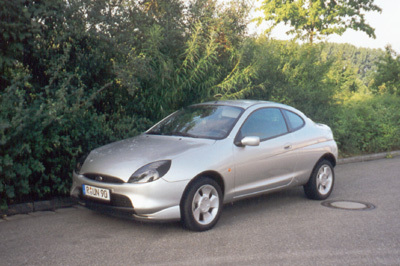 According to AutoWeek, the Ford Puma above is based on the same platform as the Ka. I guess you can think of this as the sporty Ka, and the regular Ka as... well, a Ka. In France, they... This is the Citr... You see, sometimes... umm... yeah. 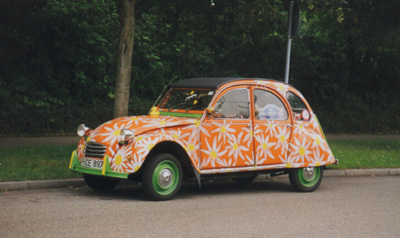 Think of this as Herbie the Love Bug’s artsy-fartsy cousin who ran away to Paris.